The Alliance Business Centre, located in the heart of Deira in the busy Business Village community is a strategic location for entrepreneurs, start-ups and medium sized associations to have their office space in. A stone’s throw from the buzzing district of central Deira and Deira City Centre, Alliance Business Centre is conveniently located in the midst of the shopping and corporate hub of Dubai. The business centre has been a long-standing member of the Business Village community and has grown expansively in the years adding to their portfolio. The business centre boasts of well provided and maintained working spaces offering a variety of flexible options including individual desk spaces and even bigger and more private office settings within its premises. The centre also offers free-flowing beverages including tea and coffee for its members, including within their member benefits. Moreover, the benefits also include convenient and flexible meeting room bookings for hosting clientele or even holding larger group discussions. 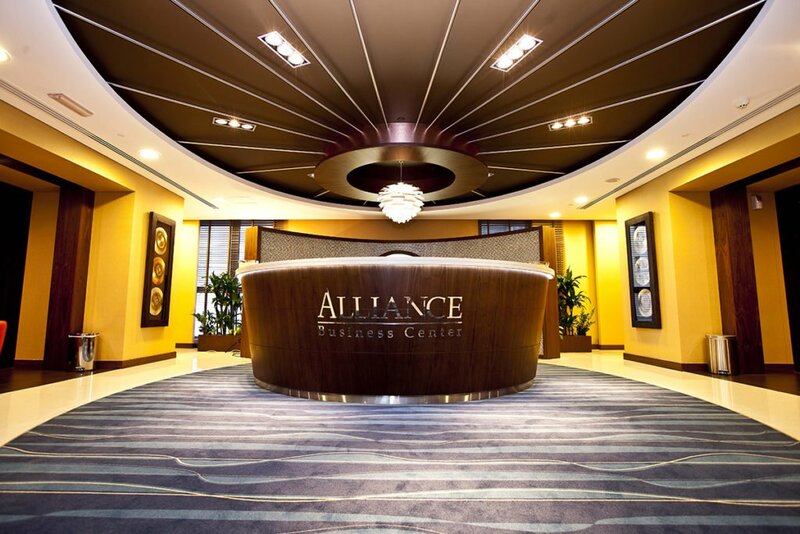 The strategic location of Alliance Business Centre in Business Village guarantees its members stay at the heart of the corporate and buzzing district - allowing for greater and more easily accessible corporate connections and interactions.